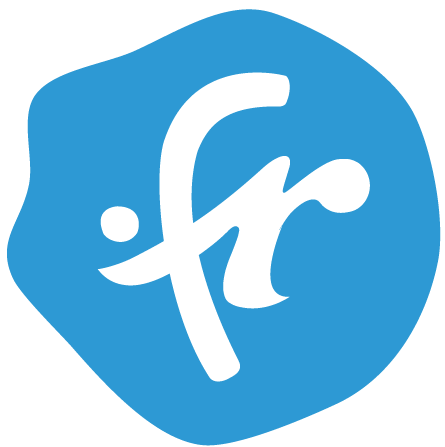 .FR is the official country code Top-Level-Domain (ccTLD) of France. .FR domains can be registered by Individuals residing in the territory of the European Union as well as Entities having their registered or main office on the territory of a Member of the European Union. Registration of 2-letter domains is not possible! The expiration date of ALL AFNIC TLD's (FR & RE, etc.) will be reset to the date of the successful transfer + 1 year. The losing registrar has 9 days to approve/decline the pending transfer. There is a Deletion Restorable Period of 30 days. Restores can be processed in realtime. A restore is possible within 30 days upon deletion. Please use the command RestoreDomain. Any changes to the registrant first name, last name, and organization must be made by requesting a trade with the TradeDomain command. All other contact information can be updated through the ModifyDomain command. Please note that the AFNIC registrant change procedure is handled similarly to ICANN's Inter-Registrar Transfer Policy, except for the transfer lock, which does not exist in this case. Note that the trade must be confirmed by both the old and new registrants (or their respective Designated Agents). For more information, please see the policy page referenced above. A Change of Registrar with the simultaneous change in the Registrant is NOT possible anymore. Depending on the type of registrant, different extensions must be provided. If a certain requirement can't be fulfilled, please use HEXONET´s Trustee service to register .FR domains. (e.g. "78181, Saint Quentin en Yvelines Cedex"). Non-French registrants simply can provide the <TWO-LETTER COUNTRY CODE> of their country of birth (e.g. "DE"). French company with a SIREN or SIRET number should continue to provide this number instead as legal id. The SIREN (Système d’Identification du Répertoire des Entreprises) number is the first part of the SIRET NUMBER and consists of 9 digits. The SIRET (Système d’Identification du Répertoire des Etablissements) number is a unique identification number with 14 digits. 6. French associations listed with the Journal Officiel de la République Française - The official gazette of the French Republic: The Journal Official Associations publishes notices of creations, breakup or substantial changes with nonprofit associations in France. Using the website http://www.societe.com and the database they provide, query for the respective data below to register a .FR domain name. the server does not forward requests to one of the AFNIC servers, it must be possible to obtain the names of the servers from their IP addresses. New 3rd level registrations are not possible any more since December 6, 2011. Previously registered domains are still supported. The registrant of a .COM.FR domain has to be a French organization. *2) Renewal Term: Is the minimum renewal term of the "Addon Class"
*3) If you are using a "Trustee" Domain Addon normally the original owner contact or the original admin contact or both are replaced by a contact provided by the trustee provider. At least annually, a registrar must present to the registrant the current Whois information, and remind the registrant that provision of false Whois information can be grounds for cancellation of his domain name registration. Registrants must review their Whois data, and make any corrections. Under the data escrow provision of the Registrar Accreditation Agreement (RAA), all ICANN-accredited registrars must regularly deposit a backup copy of their gTLD registration data with ICANN through ICANN's arrangement with Iron Mountain or they may elect to use a Third Party Provider of RDE services that has been approved by ICANN. This page was last modified on 27 September 2018, at 19:22. This page has been accessed 77,797 times.